Back in the 1990´s architecture started to take a new route towards visual and animated narratives. During this period, the use of computers to model projects became predominant over the other ways of expression. What looked like a mathematical and exact digital solution, was actually the complete opposite. Architecture had now become harder than ever to be built and eventuallyit boosted away from reality thanks to the social media and lack of criticism. An example of this distant architecture is the REN residence building by BIG. The REN was first thought to be built in Sweden and then switched its location to Shanghai without undergoing any modifications whatsoever. This is how simple, architecture is beginning to sound. In reality that simplicity is a snag for real progress. It is impossible to understand how the same building could work in two different locations, every single detail of the design would have to change in order to make it work. Instead, shallow social media influences millions of people with mistaken concepts of right and wrong. 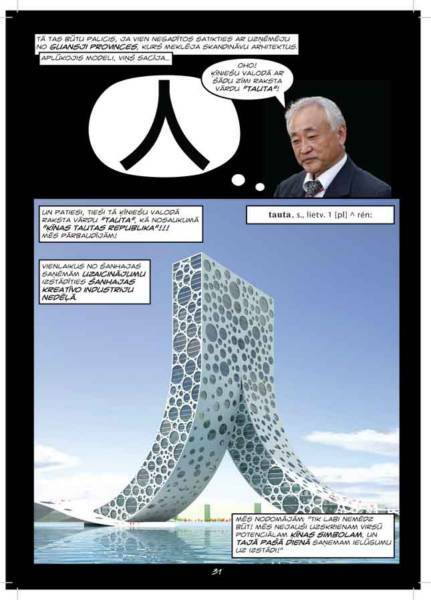 Magazines such as “Plataforma Arquitectura” are responsible for spreading worldwide such ideas. The media is selling styles and big names when architecture is not based on styles. In an interview with ABC in 2009, Glenn Murcutt said “Style doesn´t have any depth of principle behind it. Architecture is the understanding of all the winds, sun, textures, shades…. you work a building like a yacht to get the best of the climate”. As a result of our globalized era there is a struggle between the real and the superficial, not only in propaganda and advertisement but in architecture as well. The world´s focus is on celebrity architects and their invasive architecture. Architecture that is forgetting its real purpose, architecture that has become less sensible and more shallow. In 2010 Michael Rojkind was asked by Ted Talks to present some of his projects and ideas. During his short presentation which was mainly about personal achievements and his life motivations, he said something that really stood out. He said that his model of living life is by letting himself be contaminated or influenced by ideas around the world. He called this concept “Risk of Contagion”. His concept of life in a way is a reminiscence of what is actually happening with the social media and their spread of defective ideas. When you hear Rojkind express his concept of self contagion it is hard not to agree with his approach, naturally the best way of learning is by experience and by absorbing ideas around the globe. But when the ideas being absorbed are not good, then the concept of “risk of contagion” becomes literal and not metaphorical. This here I believe is what has happened to countless architects around the world. This belief that style is actually predominant to all the other aspects that define architecture is a misinterpretation or a derailment from the road of real and honest architecture. One thing I agree with Rojkind in is that today the risk of contagion is greater than ever before. Good and bad projects are not compared, but published as equals with no critique whatsoever. As an outcome Starchitects such as Bjarke Ingels, Santiago Calatrava and Zaha Hadid rule over every one else. Since the 1990´s, this virus of self-promotion and misinterpretation of architecture has contaminated the minds of millions of people around the world, making projects like the REN building not only acceptable but rewarding as well. Through time some architects such as Mauricio Pezo, Sofia von Ellrichshausen and li Xiaodong have in a way created an anti-virus, bringing back sensibility and truthfulness to architecture. They are not only opening a door to new and sensible designs, but actually going back through time where everything was more rural and raw to find the answer to create architecture that responds to balance with nature and humans. PreviousPRÁCTICO: SIN COMPLICACIONES, QUE TOMA ACCIONES O DECISIONES SIN RODEOS.